As well as the Oncology Massage Courses, so far in my career, I have been lucky enough to teach many subjects. I have mentored nursing and medical students and taught first aid to people from a variety of different backgrounds. In my 10-year (plus!) massage career, I have taught Hydrotherm at introductory, pregnancy massage and clinical level. However, teaching Oncology Massage Courses to massage therapists stands out to me as one of my favourite subjects to teach….. In 2018, news headlines reported that some Spas were turning away cancer sufferers for beauty treatments. The explanation behind this was that having beauty treatments when you have a history of cancer may exacerbate the illness. The truth is there is NO EVIDENCE surrounding this. Having medical training means that I have more knowledge on the subject than most, and feel a privilege to have this advantage. Nursing cancer sufferers over the years has helped me understand and perhaps adopt a common sense approach to them receiving massage therapy. Instead, understanding just why would someone turn away these people took me a while to get my head around. (Dr. C Simonton, The Healing Journey, 1992). The Amethyst Trust cancer massage course has been specially designed to ensure that Cancer Sufferers can receive a good quality and fully insured massage. It is wonderful to see therapists who have completed the course feel competent and confident to provide massage to this client group that someone may have previously turned away. The course dispels many of the myths surrounding massage in cancer and provides a practical approach to adapting treatments. Students learn common conditions surrounding Oncology massage whilst understanding what the true contraindications are. It is so lovely to see people learn new skills and most importantly have the satisfaction in knowing that this group of clients can receive massage just like anyone else! Above all, it is a privilege to provide massage to this client group who are at times going through a vulnerable and sensitive time in their lives – A time where the last thing they want is someone who excludes them from an enjoyable massage treatment! We were made to feel very comfortable and felt free to ask as many questions as we wanted. No question was too small and everything was explained brilliantly. The course definitely made me feel confident about dealing with this category of clients, which is new to me – Thank you! Find here more information on training course dates for the Massage Therapy Courses in London. 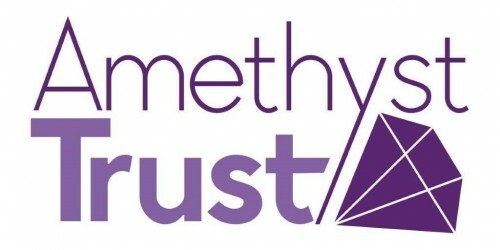 Come along to Olympia beauty on September 30th and October 1st, and see all that the Amethyst Trust has to offer on stand A154! Oncology massage courses provide valuable tools to therapists and ensures Cancer sufferers are not excluded from enjoying massage.